Georgia is a Belfast based Casting Director. She works on UK and Irish productions for film, theatre and television. Georgia has cast several of the most critically acclaimed productions made in Northern Ireland, including: Good Vibrations (named by Mark Kermode as his favourite film of 2013); the multi-award winning Five Minutes of Heaven; and the Academy Award winning The Shore. Georgia trained in London with Emmy Award nominated Casting Director Di Carling, and former Royal Shakespeare Company Head of Casting, Sam Jones. She is the only Casting Director in Northern Ireland to be a member of the Casting Directors’ Guild of Great Britain & Ireland. Looking for a Casting Director in Belfast? Georgia has over a decade of experience in the casting industry, and her knowledge of the Northern Ireland scene is second to none. 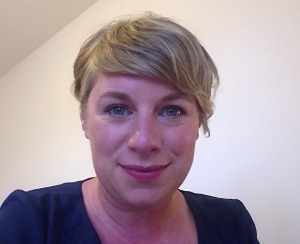 She has excellent contacts amongst agents in Belfast, Dublin and London and brings a wealth of expertise to both local and visiting productions. Georgia is always happy to talk to new clients about potential projects. To check her availability or to request a CV, get in touch via the Contact page. Click here for Georgia’s IMDB profile.